14021 Clear Water Ln Fort Myers, FL. | MLS# 217066710 | Southwest Florida Residential Real Estate for Sale. 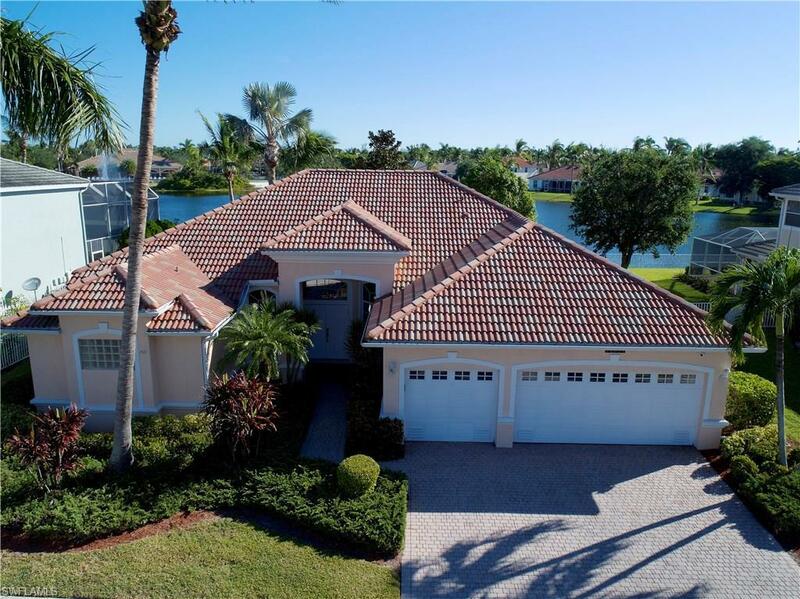 Beautiful 4BR 3BA 2, 721 sq ft with office/den and 3 car garage in the highly sought after gated community of Reflection Lakes. Low fees and incredible amenities including tennis courts, basketball court, fitness center, resort style pool/spa, billiards, banquet room and much more. Boasting one of the best views in the development this home has an amazing outdoor living space with a huge brick paver deck, pool/spa package and your very own mango tree. Interior features high ceilings, crown molding, tile and laminate flooring, stainless appliances, plantation blinds, pocket sliders, upgraded fixtures and more. Breathtaking panoramic views from the kitchen and family room. Huge master suite with 2 walk in closets, double vanities, and separate shower and tub. Two of the guest rooms share a bathroom with access off the pool and the other has its own private bath. With easy access to US-41 and Summerlin Rd this awesome Fort Myers location is minutes away from everything in town yet still close to beaches. Schedule your showing today and come live the resort lifestyle!